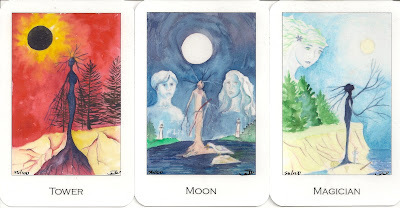 The Watcher's Tarot is a limited edition majors only deck made of water color paintings. The deck is available in two sizes (4 x 2 5/8 inches or 5.5 x 4 inches). My copy is the small size and has number 56. The cards are laminated with hand curved corners. This is a high end archival printing using a Canon 9000 photographers printer with Chromalife100 inks - color saturation to last at least 100 years. The deck includes a title card and an interpretation card. 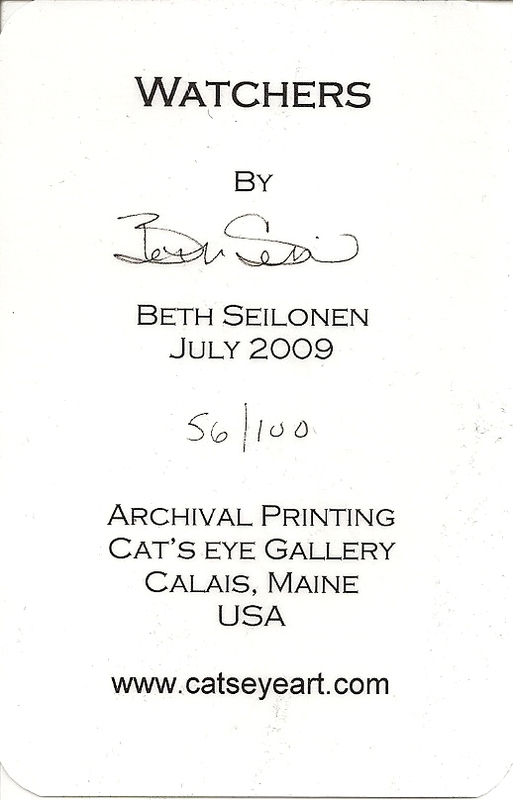 The cards are housed inside a black drawstring bag, within a 2 piece, white, lidded cardboard box, with an ink drawing on the lid along with the artist's signature and the deck's number. The cards have titles but no numbers, except Strength, which shows a number 8. 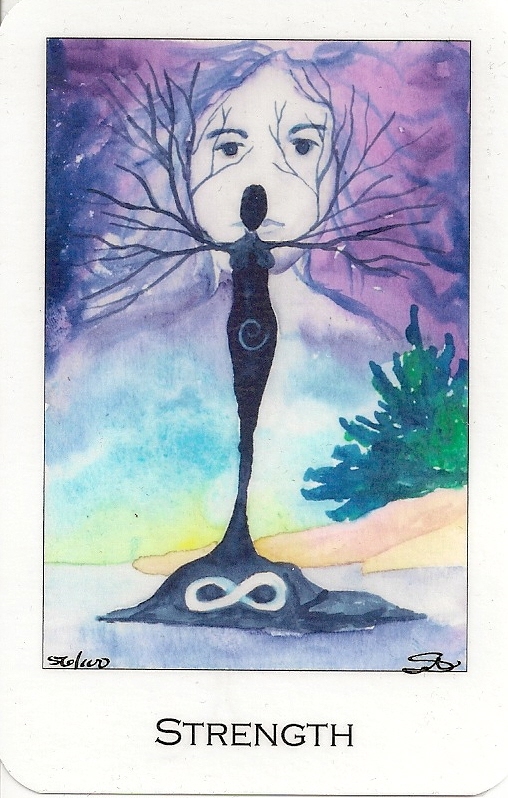 The deck is featuring the Tree People with their spirit guides on the wind, earth and water. Beth Seilonen: This deck came about one afternoon after hiking a local conservation park called Devil's Head which has a trail that leads down to the ocean. As I was playing around with the rocks, stacking them, my son asked me what they were, thinking that they looked like stone snowmen. "They're Watchers." I replied and from the stone figures, they transformed into tree people with 'watchers' (angels) watching over them.